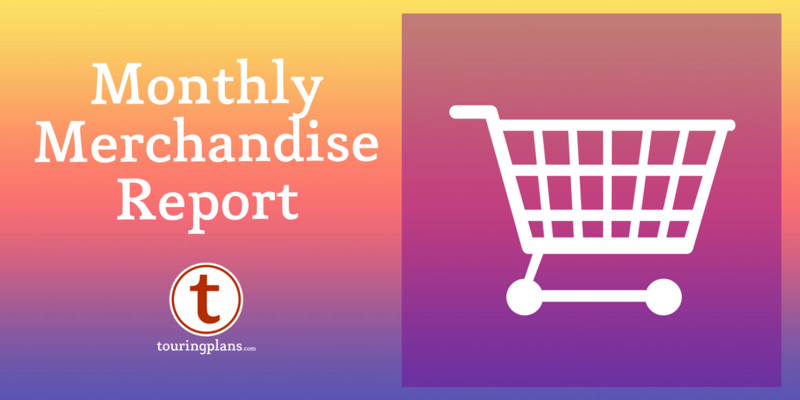 After taking last month’s hiatus to recover from the holiday bills, we’re back for another edition of the Monthly Merchandise Report. 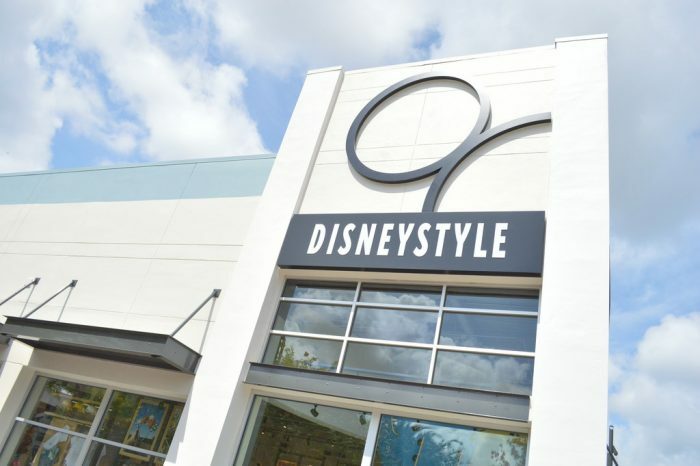 This month, I took a quick trip to Disney Springs to visit their insanely Instagrammable store of merchandise options, DisneyStyle. 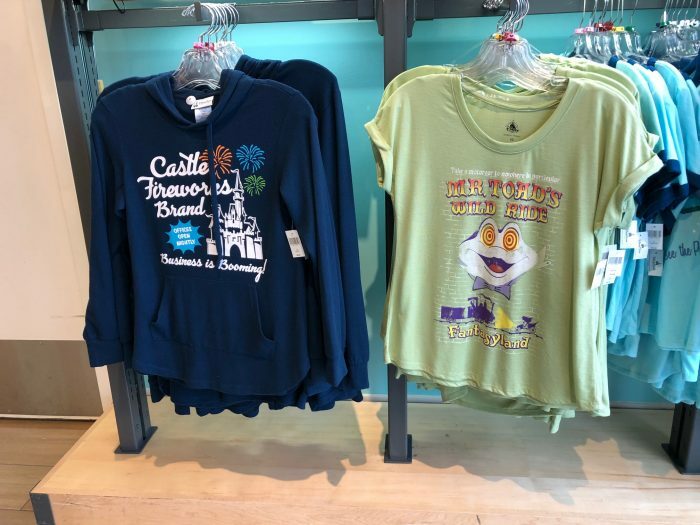 Located over on the West Side, this store may not have something for everyone, but the merchandise they have tends to be incredibly popular. The store can get pretty crowded, so I picked a day that seemed a good one for doing something inside, but hopefully kept crowds away. Translation: It was a pretty wet and dreary day at the Springs. One of the highlights at this store has to be the t-shirts. Many have cute sayings that are perfect for the social media era, or feature tie-ins with favorite attractions, past and present. Speaking of things I hope are in, I’m a huge fan of patches and have a collection on a jacket that goes back many years. (To put it in perspective, I have a patch on my jacket for Boardwalk and Baseball!) 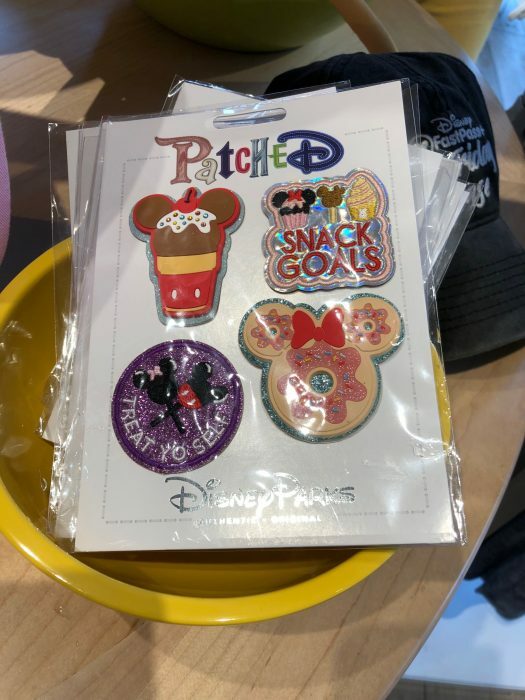 Disney is now releasing a ton of new patches, and although they tend to show them on shirts, I think denim jackets with patches are just waiting to become the next big thing again, right? If so, I will take full credit for the trend. I know a lot of people are huge Dooney fans, and I wouldn’t want to sway someone away from their brand loyalty, but I’m a big fan of bags from Loungefly. 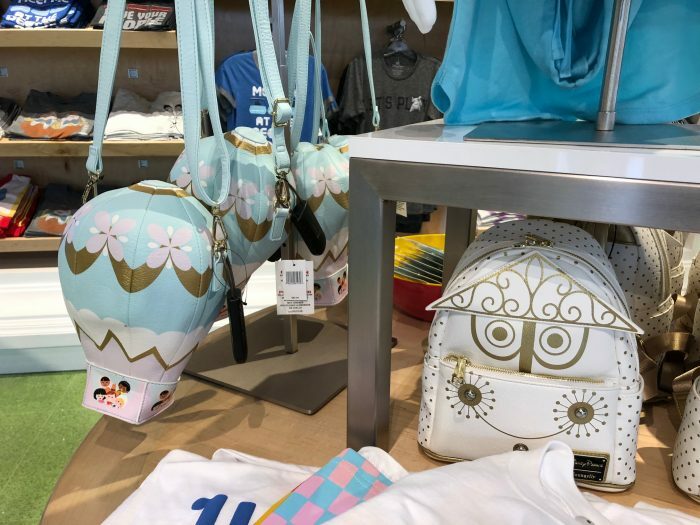 They’re more reasonably priced than Dooney (for instance the clock face “backpack bag” shown here is only $75), and they’re adorable. 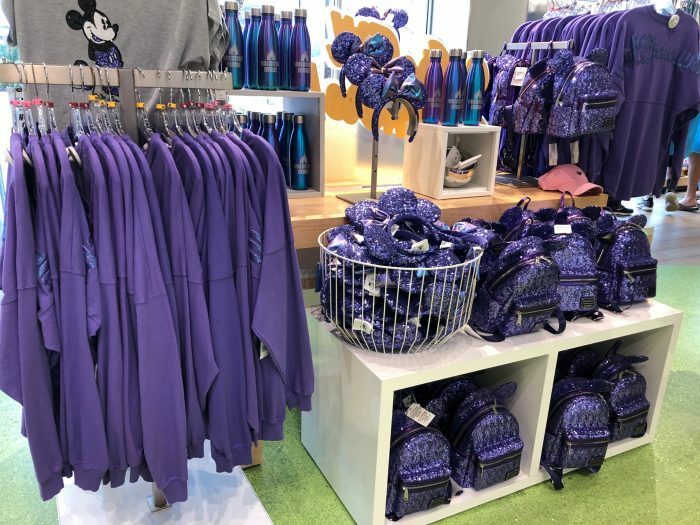 I *almost* bought the balloon one for myself while I was there, but I got their Figment bag for the holidays. I’m not a fan of Pop Sockets — they really feel like they’re pinching the life out of my fingers. But holding my phone grip-wise tends to give me a sore hand by the end of a day. 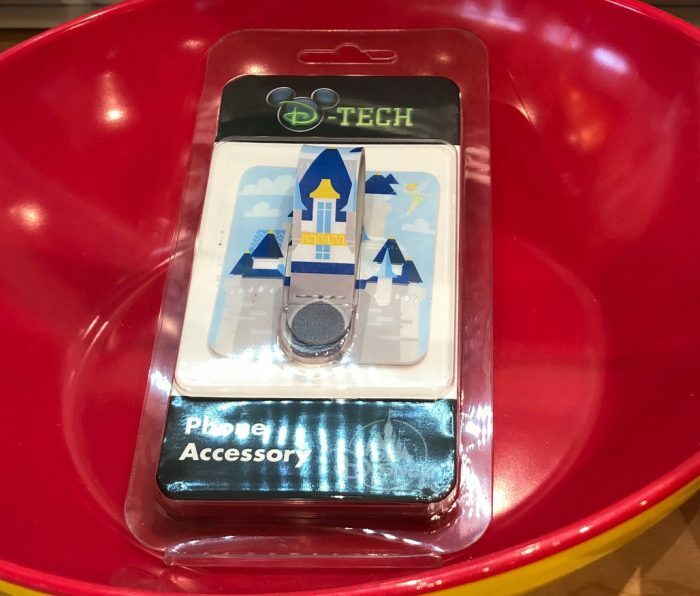 I am a huge fan of rings and loops that you can attach to the back of your phone, so when I saw that Disney is now making them, I was thrilled. What do you think? Is this something that would work well for you, or are you a Pop Socket fan? 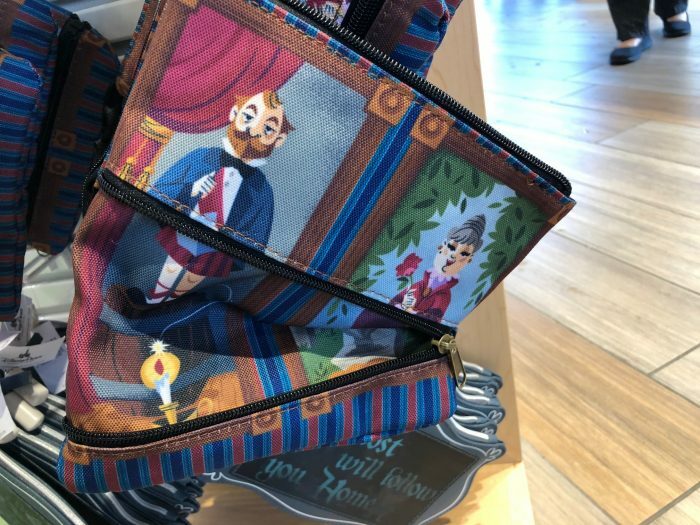 Also in the category of too cool is this small Haunted Mansion portrait clutch. 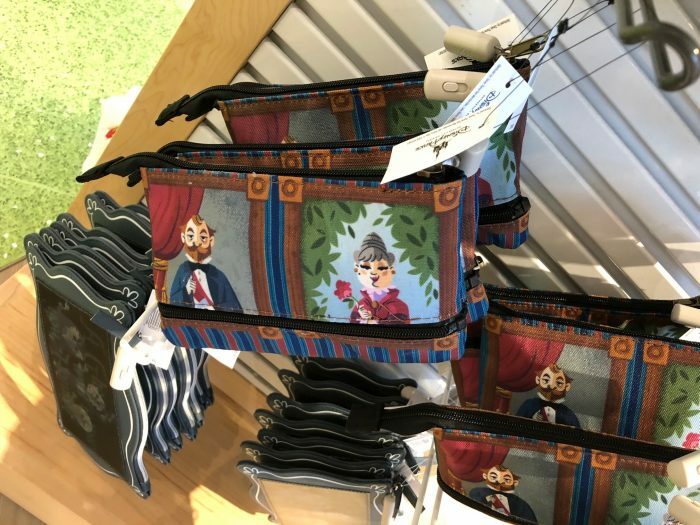 At first, it just looks like a little bag–cute, but only for the most hard-core of Haunted Mansion fans. 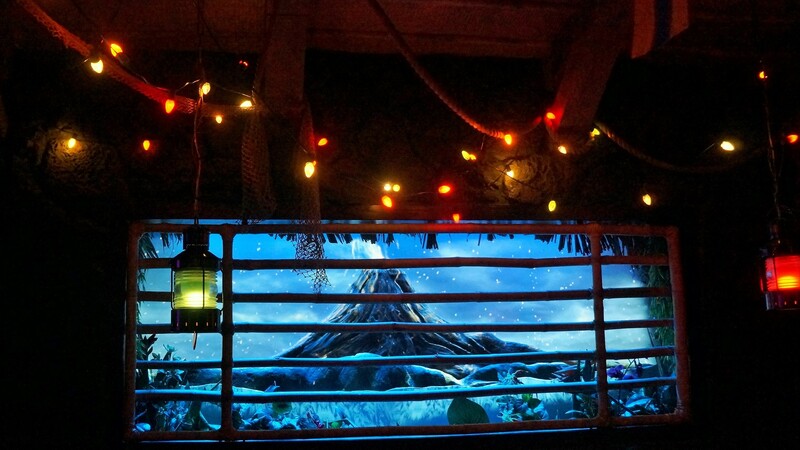 But then…. You can unzip that zipper at the bottom to stretch the portraits out and make a larger bag. Is this clutch actually stretching? Yes, yes it is. Also in the awesome category, I’ll be the first to admit that I’m not a huge fan of reversible sequins–I figure that either means some total stranger is going to come up to you and want to play with your shirt (ew), or you’ll probably end up with half of them one way and half the other, and the shirt looking pretty ragged. In almost all cases, I don’t get why they are a thing. But this shirt may have changed my opinion. 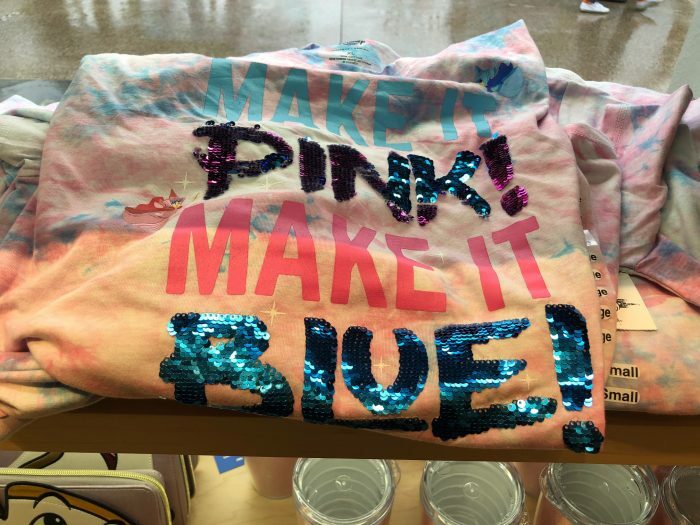 It’s a Princess Aurora-themed shirt, and the sequins in Pink and Blue are reversible — so yes, you can make it Pink or make it Blue. How cool is that? So what amazing purchases did I make? Sadly, nothing — the other reason I was at Disney Springs was to renew my annual pass, so no fun shopping for me. 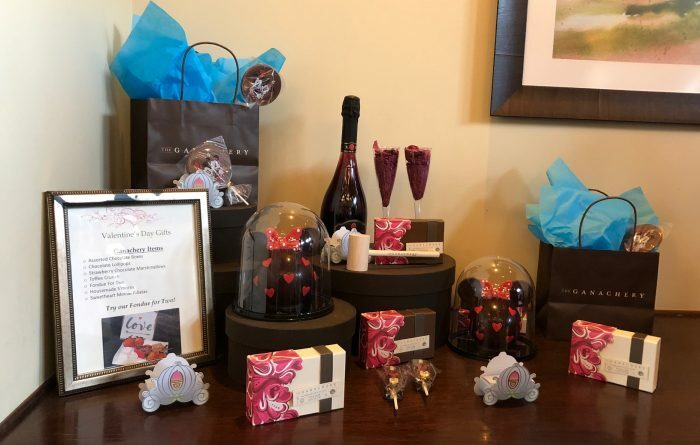 On the other hand, while I was over in Guest Relations, they had this little setup about things you can buy for Valentine’s Day, so if you’ve got someone you’re looking to buy for at the last minute, Disney Springs may have the answer you’re looking for, especially for someone with a sweet tooth! 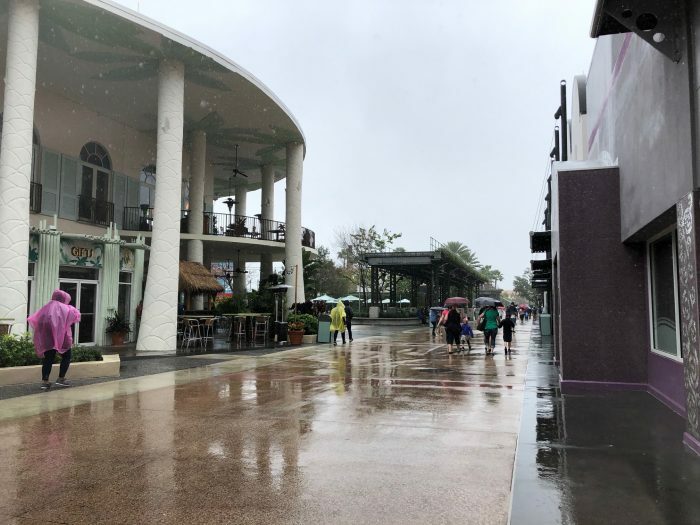 If the weather looks a bit on the dreary side, and you don’t mind carrying an umbrella with you, some retail therapy at Disney Springs may be a great way to spend part of a day. 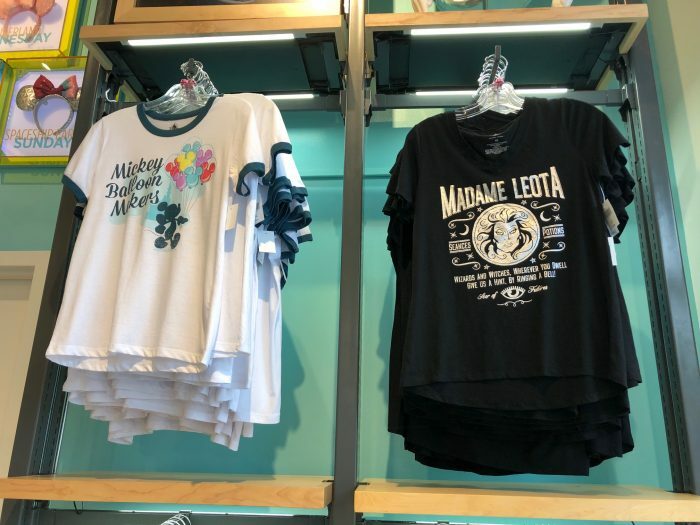 Do you have a favorite store at Disney Springs? Got any Disney-related Valentine’s Day gifts for your sweetie planned? Let me know in the comments. That’s the back of the dress. True, although the front isn’t better — instead of the eyeballs, it has those little teeth things. I guess for a costume for Halloween, maybe it would be cute. 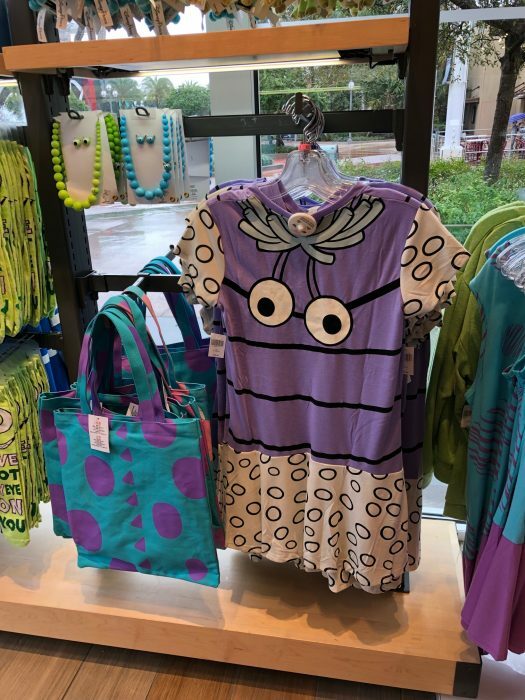 I just don’t know who would wear that on a day-to-day basis, even at WDW. I love the Haunted Mansion bag! That’s so cool. Thanks for the merch report!